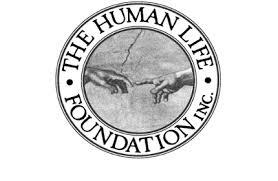 In a previous post entitled "Cholera in Haiti: Urgent" I asked readers of the HumanLifeMatters blog to send a twitter message to Hillary Clinton and the Clinton Foundation to mount or increase efforts to stop the spread of cholera in Haiti. Thank you to everyone who did that. Since I published that post, I have been told by a number of sources that Hillary Clinton and the Foundation are despised by people in Haiti. I do not know if that assertion is true (I hope not). The Clinton Foundation is in Haiti and command massive resources. If their efforts will be compromised or hampered by people's distrust -- assuming they are willing to put a stop to the cholera epidemic -- then I suggest an alternate strategy for followers of the HumanLifeMatters blog. Send another urgent and immediate tweet to the United Nations Secretary General-designate Antonio Guterres (@AntGuterres or @AGuterres_UNSG) and outgoing Secretary General Ban Kin-Moon @secgen. 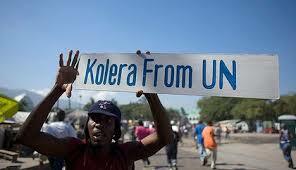 Insist the United Nations immediately commit significantly more resources to stop the cholera crisis in Haiti. It is a crisis they apparently started inadvertently after the 2010 earthquake. The Guardian newspapered interviewed to Beatrice Lindstrom, staff attorney at the Institute for Justice and Democracy (IJDH). They reported that the IJDH "has led a campaign to hold the UN accountable for its role in the cholera outbreak that hit nine months after the January 2010 earthquake. The disease was previously unknown in Haiti, and overwhelming evidence suggests that it was introduced to the country by UN peacekeepers from Nepal." "... The torment has only started. 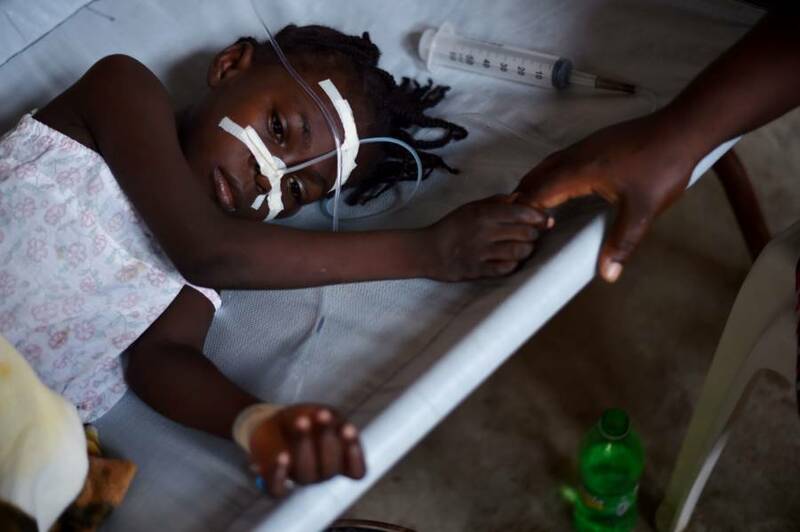 Cholera, the disease at the heart of Haiti’s last disaster, is being spread again by this one. About 10,000 people have died and hundreds of thousands have been sickened since cholera first appeared in late 2010. Scientists say it was brought to Haiti by United Nations peacekeepers stationed at a base that leaked waste into a river. After years of deflecting blame, the United Nations this summer acknowledged “its own involvement” in the suffering Haiti has experienced from the disease." Credible source have maintained it was U.N. sloppiness that caused the problem which has claimed thousands of life and caused immeasurable suffering. They resisted taking responsibility while thousands of people died. They finally admitted it. Now it is their moral responsibility to IMMEDIATELY deploy massively more resources to IMMEDIATELY stop further spread of cholera and treat people infected. How? We are not talking about scientific sophistication such as we saw with the Ebola outbreak in Africa. The battle with cholera involves providing clean water, basic sanitation and antibiotics where required. Pretty basic. Yesterday, I spoke to a physician who confirmed that it is quite simple. The first thing is to clear away contaminated water and replace with clean. What then? Measures for the prevention of cholera mostly consist of providing clean water and proper sanitation to populations who do not yet have access to basic services. Health education and good food hygiene are equally important. Communities should be reminded of basic hygienic behaviours, including the necessity of systematic hand-washing with soap after defecation and before handling food or eating, as well as safe preparation and conservation of food. Appropriate media, such as radio, television or newspapers should be involved in disseminating health education messages. Community and religious leaders should also be associated to social mobilization campaigns. In addition, strengthening surveillance and early warning greatly helps in detecting the first cases and put in place control measures. Conversely, routine treatment of a community with antibiotics, or mass chemoprophylaxis, has no effect on the spread of cholera, can have adverse effects by increasing antimicrobial resistance and provides a false sense of security. Provision of safe water, proper sanitation, and food safety are critical for preventing occurrences of cholera. Health education aims at communities adopting prevention behavior for averting." ... Once an outbreak is detected, the usual intervention strategy aims to reduce mortality - ideally below 1% - by ensuring access to treatment and controlling the spread of disease. To achieve this, all partners involved should be properly coordinated and those in charge of water and sanitation must be included in the response strategy. Recommended control methods, including standardized case management, have proven effective in reducing the case-fatality rate. enhanced hygiene and food safety practices; improved communication and public information." It isn't rocket science, but it does require immediate human resources redoubled to stop the spread of cholera. The United Nations has a special responsibility to immediately stop the crisis they caused. I call on them to do it now!